The Aghoresvara temple has Lord Shiva as its presiding deity. The central shrine is dedicated to Aghoresvara temple while the shrines next to it are dedicated to Ganesha and Subramanya. 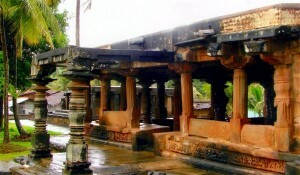 Ikkeri is located 93 km from Shimoga and three kilometer from Sagar.